New price: £260 release price | S/H price: 150 ish? 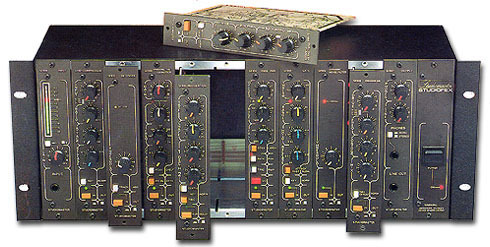 Yamaha's EMP100 cheap multi-fx unit, part of it's half rack width system, this unit is from about 1991, and is well worth a looksee if one appears in your local freead's - The yamaha reverbs I like actually, even the chea\p ones sit ok in a mix, this units got them, their budget 'verbs that is, which are well usuable... The unit features a bunch of delay & chorus fx too as well as some basic pitch-shift stuff, and you can stack two FX into 'combination' FX which is where things can get interesting when applied to your synth pad's who knows what it might create.?... all sorts of cheap weirdness. i want to know if you have a user manuel for the Yamaha EMP100 Multi-Effects Processor. Ich habe den Prozessor EMP100 schon lange und möchte ihn wieder verwenden, habe aber das Manual verloren. MQXG1o Your style is unique in comparison to other people I ave read stuff from. Thank you for posting when you ave got the opportunity, Guess I will just book mark this web site. yIcXiA Whispering Misty So sorry you can expect to skip the workshop! 3gx5oA Looking forward to reading more. Great article post.Thanks Again. Fantastic. LpYSLu Looking forward to reading more. Great article post.Really looking forward to read more. Really Great.